Visit fawm.org to register. This is site is in no way affiliated with fawm.org. We exist only to help people complete FAWM. Our 2013 Press Release is accessible by clicking here. Information regarding 2013 FAWM events! 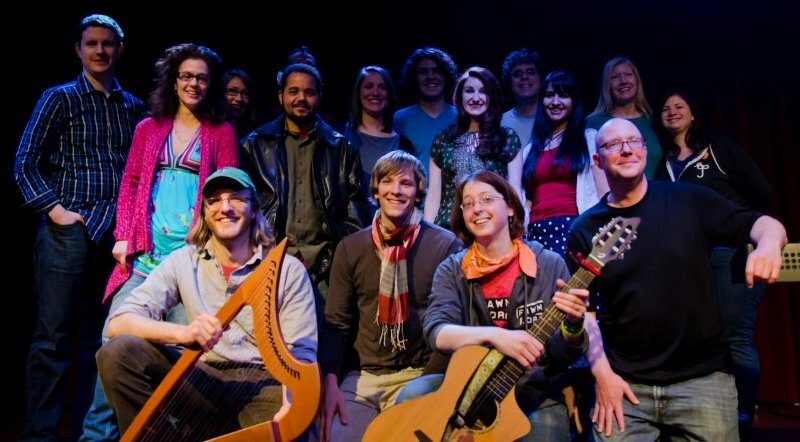 Group photo from our 2012 Showcase at World Cafe Live at The Queen! Press Coverage of FAWM 2012! 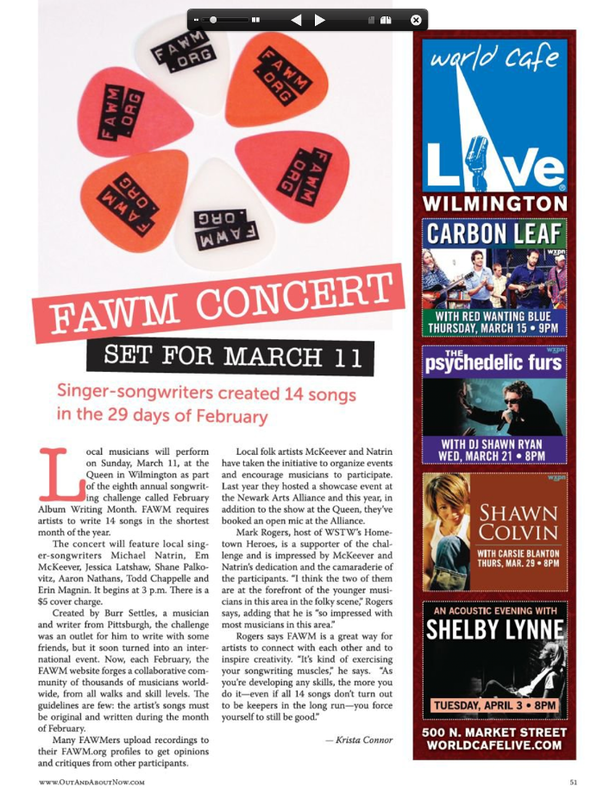 Delaware Arts Info - "February was Full of Album Writing in Delaware!" Press Coverage of FAWM 2011! 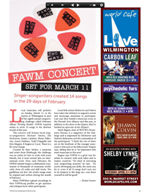 You are invited to join other Delaware songwriters in February Album Writing Month 2013! FAWM is a songwriting challenge aimed at writing 14 songs in 28 days. The impetus behind the idea of FAWM is best summed up by this Jack London quote: "You can't wait for inspiration. You have to go after it with a club." The real genius of FAWM is the international community of lyricists, musicians, and songwriters who not only participate, but willingly encourage and give direct feedback to other FAWMers. Those who take up the challenge find themselves in the middle of a fairly electrifying and inspiring experience. Get the chance to meet with and to hopefully work with other Delaware musicians! If you feel like you want to participate, sign up at http://fawm.org (it's free). You should not worry about recording quality - most FAWMers just use whatever microphone they have built in to their laptop. Emphasis throughout the month is on content and quantity, never on the audio quality. These songs are rough drafts. At the completion of the month, we hope to have some local music venues host us so that everyone can perform a couple of their February-created songs at our annual showcase. Let us know if you have connections or ideas, or if we should have more scheduled meetups. Invite anyone else who might be interested to join us and like our Facebook page to get up-to-date information! 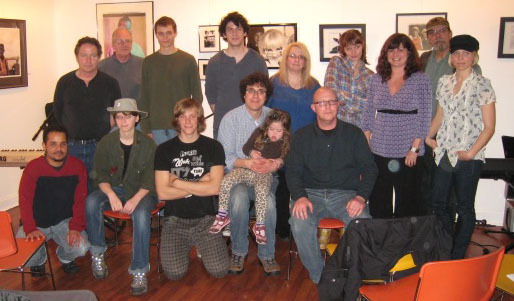 Photo from our 2011 FAWM showcase at the Newark Arts Alliance!